I was thinking the fall edition might be conservative and concerned that could mean that it wouldn’t have been. . . uh . . . as wonderfully special as those two. CraZy! Shades of brown mixed with hues of gold – light mixed with dark – flecks and flakes mixed with discreet swirls. 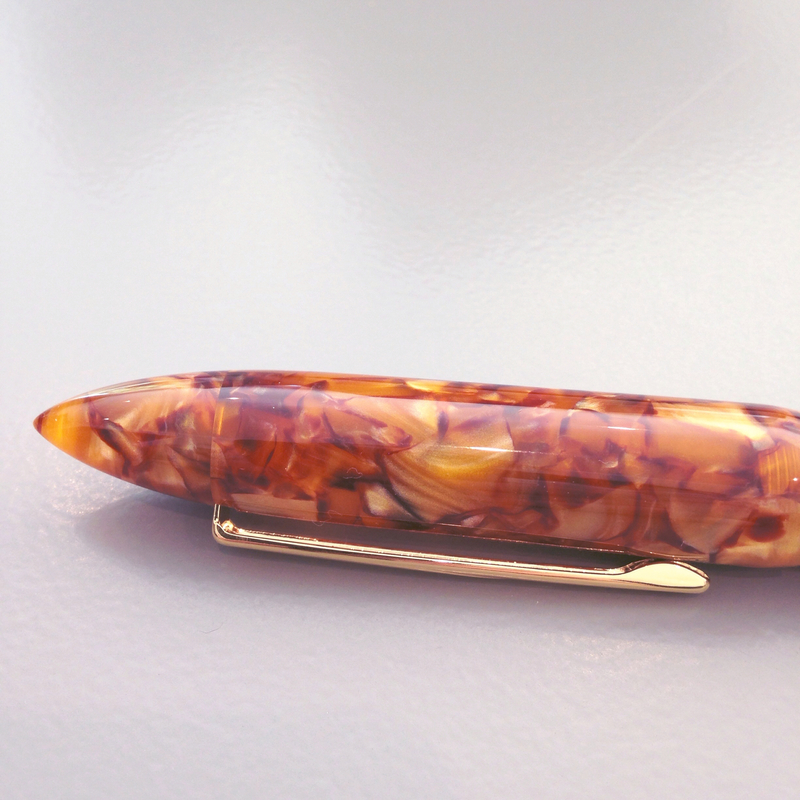 Gold-tone trim (fancy people call this the pen’s “furniture”). 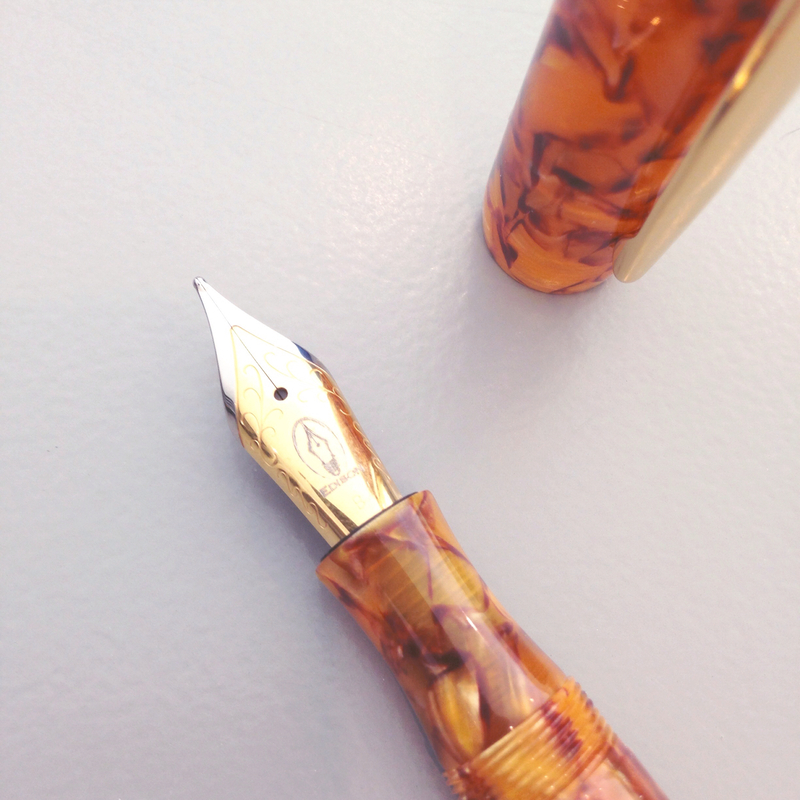 Two-toned steel nib (mine is a broad and I think you should go broad, too). 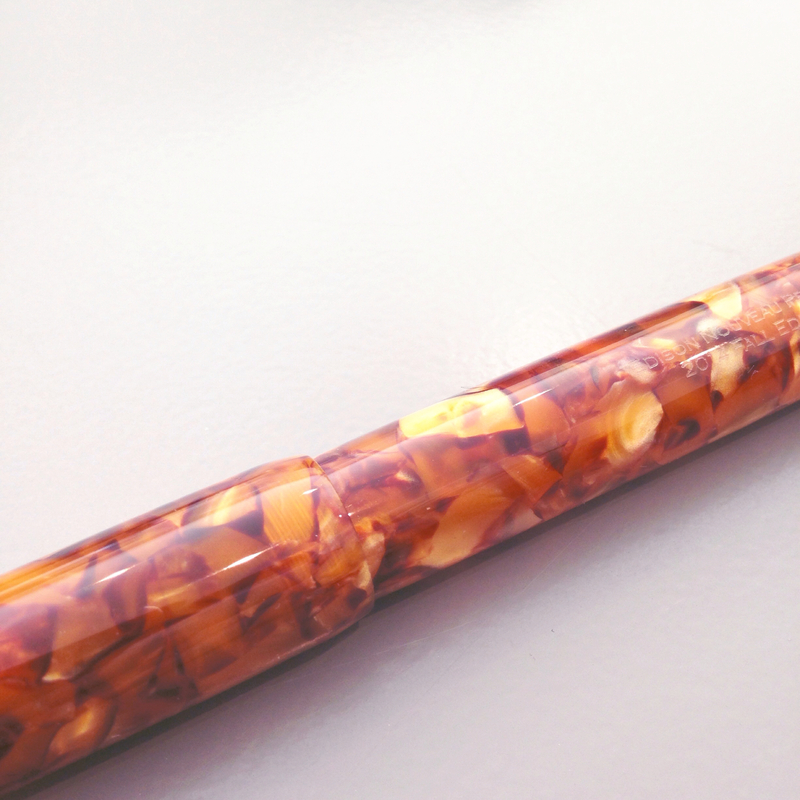 This isn’t your grandpa’s fountain pen (not that there’s anything wrong with that!). 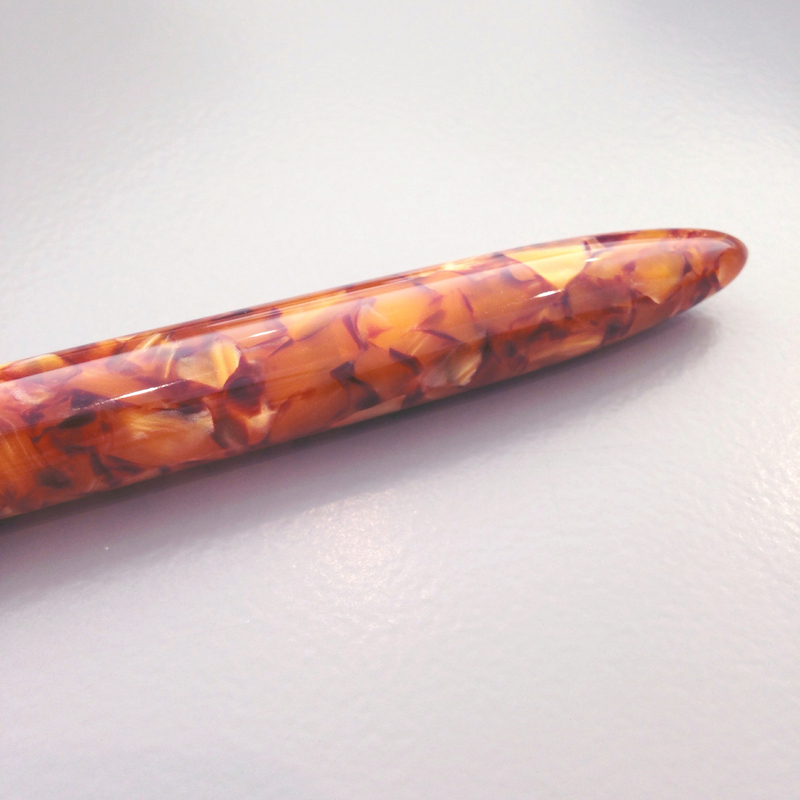 OK, so it’s pretty handsome, but how does the Edison Nouveau Premiere Autumn Harvest (Fall 2014 Special Edition) Fountain Pen write? . . . . 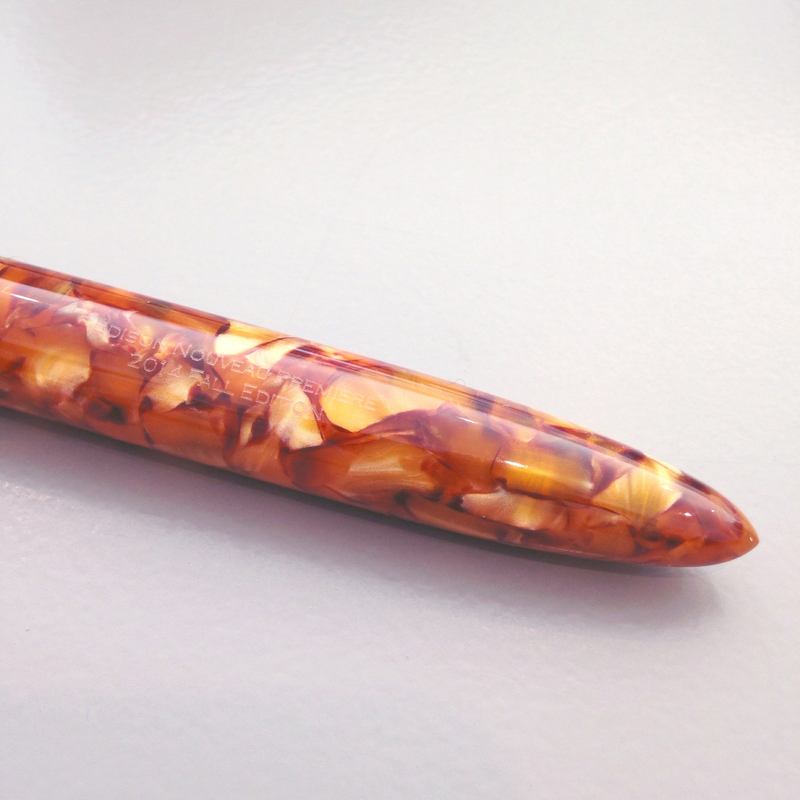 I have a giveaway (and more pictures of this beauty) coming up on Wednesday – hoping you’ll come back and check it out. 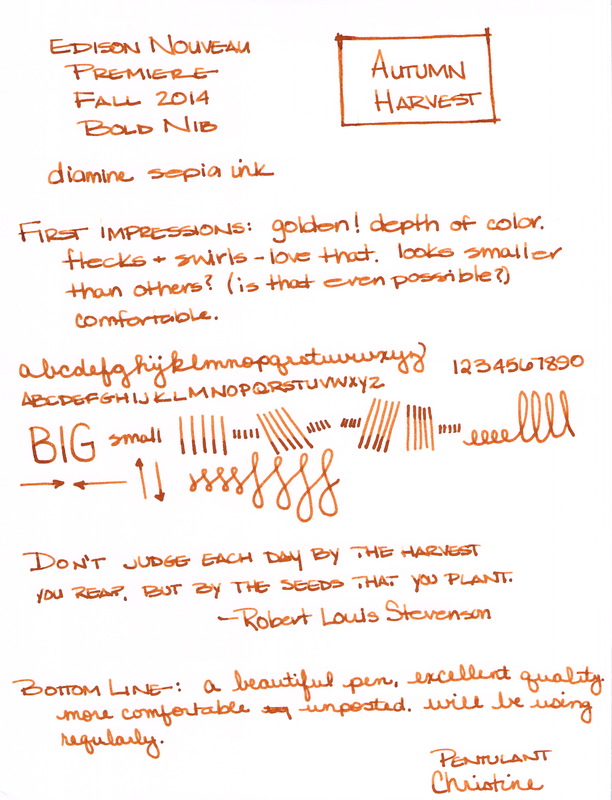 This entry was posted in FOUNTAIN PENS, INKS and tagged brown, diamine, edison nouveau, edison pen co, fountain pen review, goulet pens, special edition by Christine (Pentulant). Bookmark the permalink. 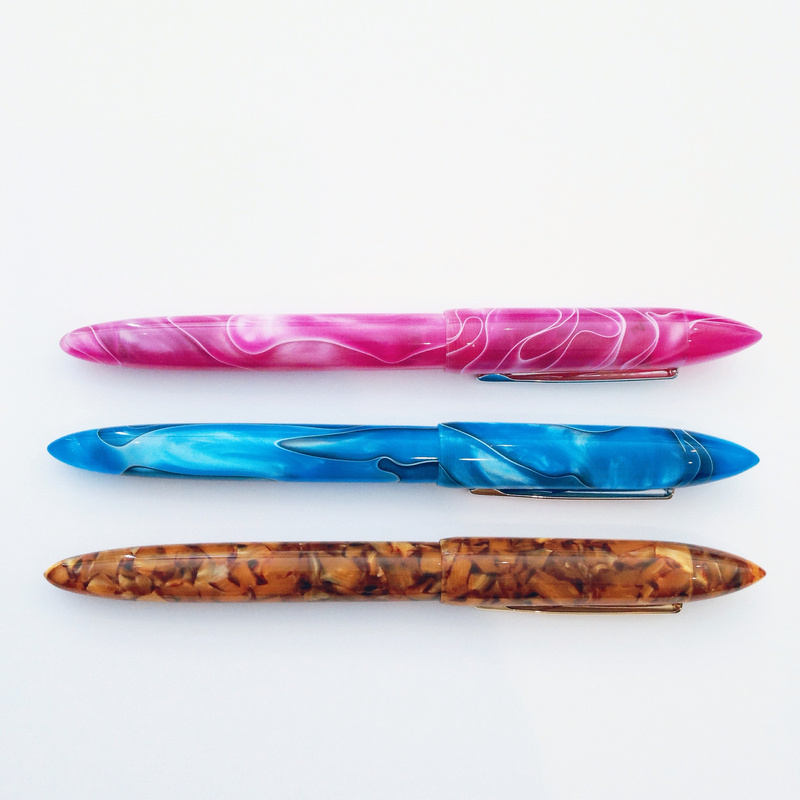 I love the blue pen — the color is amazing. What is it called, and is it still available anywhere? 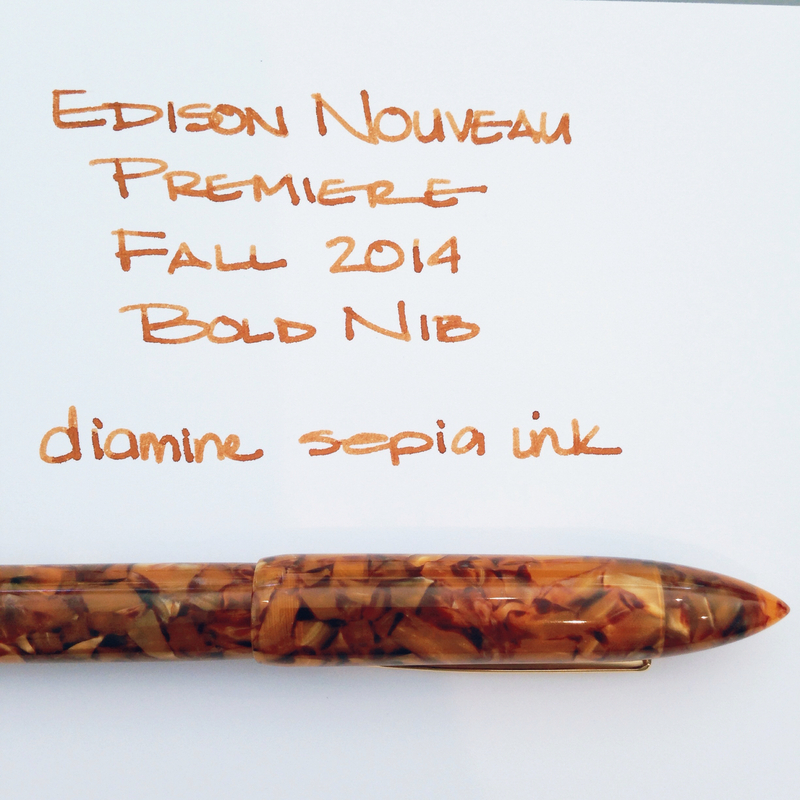 Thanks for stopping by….it's the Edison Nouveau Premiere Summer 2014 Special Edition – unfortunately, it is no longer available. What did you think of the ink? Is this your first “sepia?” If not, do you have a fave? I am on the lookout for one. 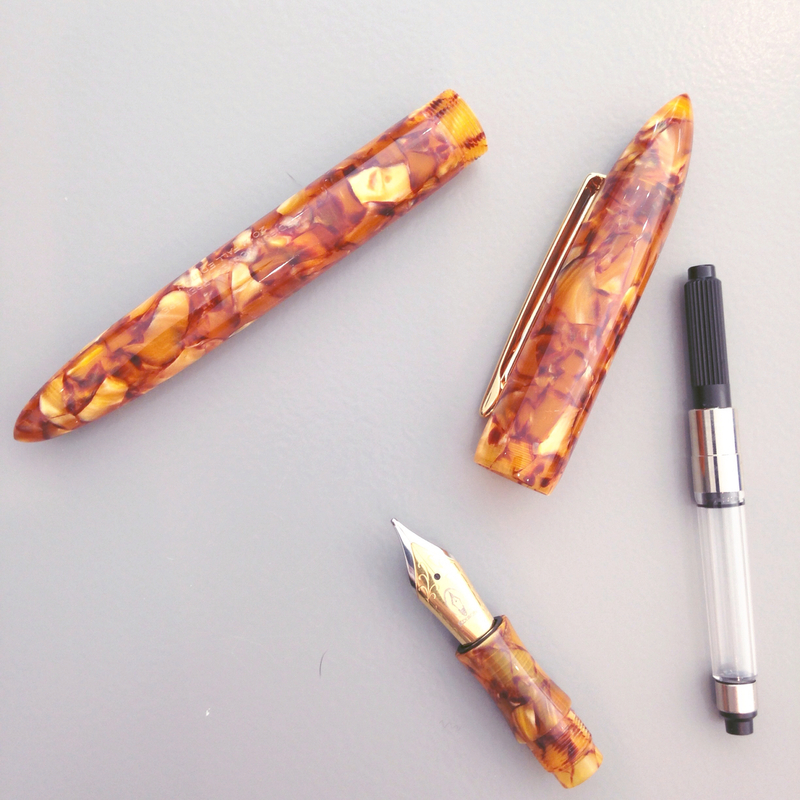 I just purchased this pen…my first purchase over $80! Gulp. Double gulp. I'm a bit nervous about making such a big purchase/splurge and I hope that I'll love it as much as you do! I missed out on the Carribean Blue LE and kicked myself in the pants for not pulling the trigger sooner. Since Fall is my favorite season, I knew I didn't want to miss out again. 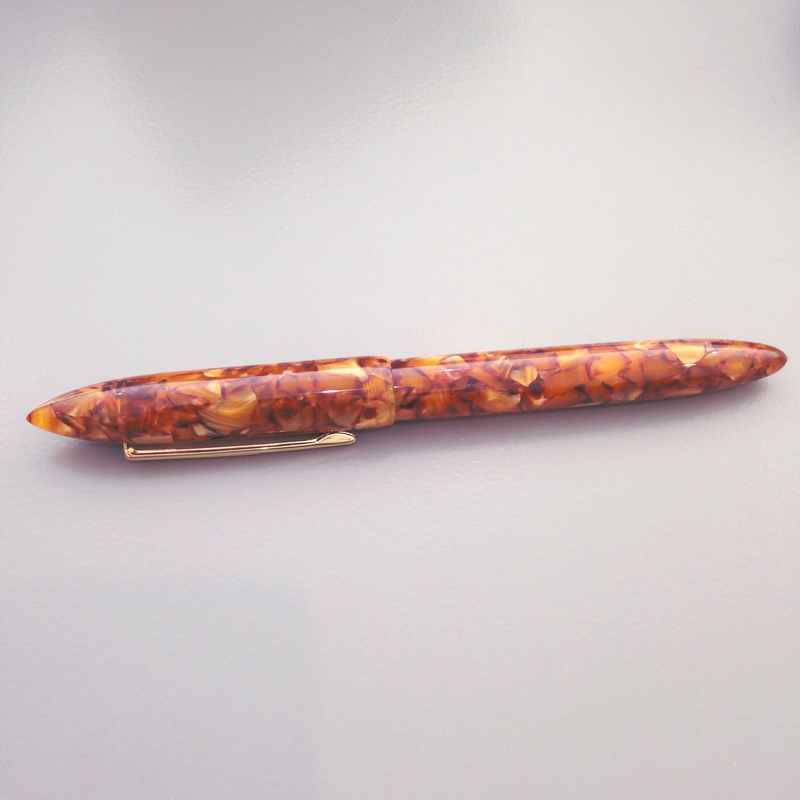 Thanks for the awesome pics of this pen. Can't wait to get my hands on this! 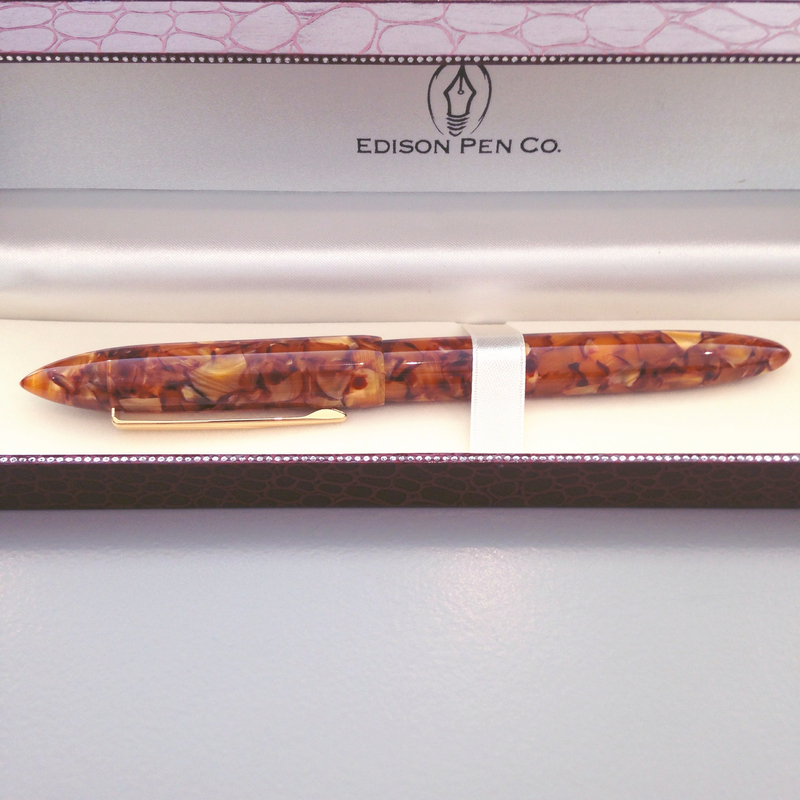 I hope you love the pen – it is definitely great-looking and writes just as well for me!